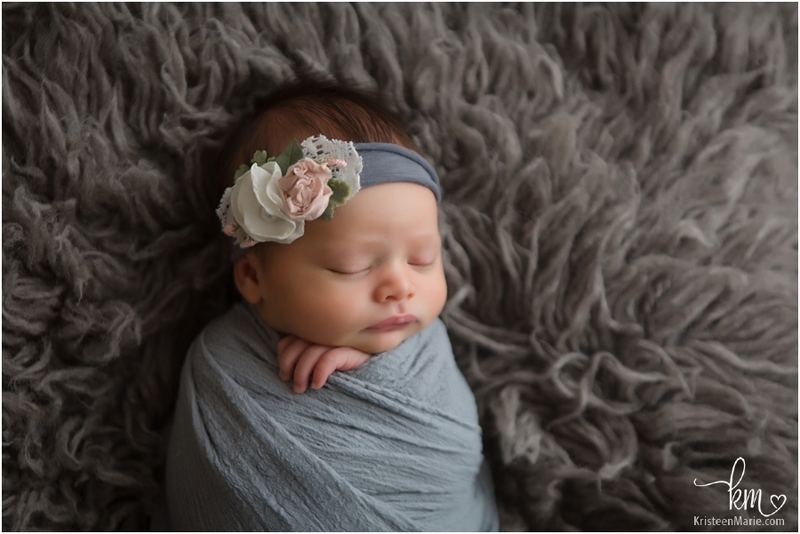 Meet sweet baby Kora. 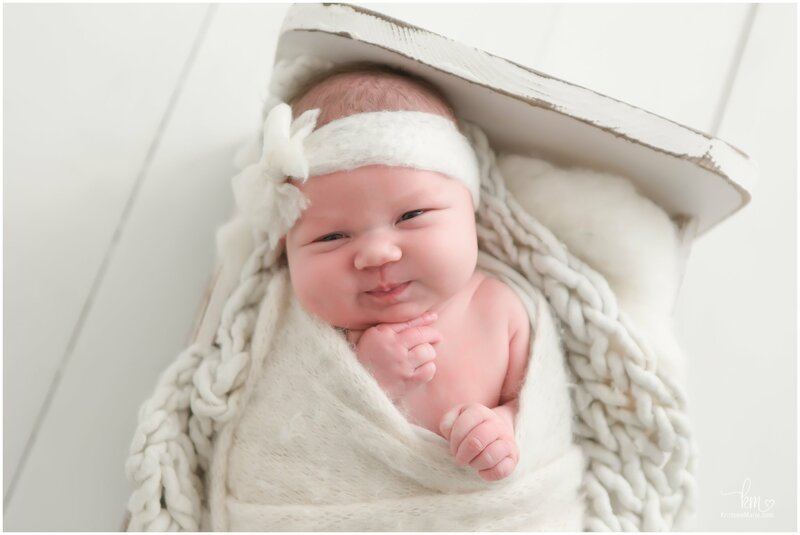 This sweet girl happens to belong to one of my best friends! 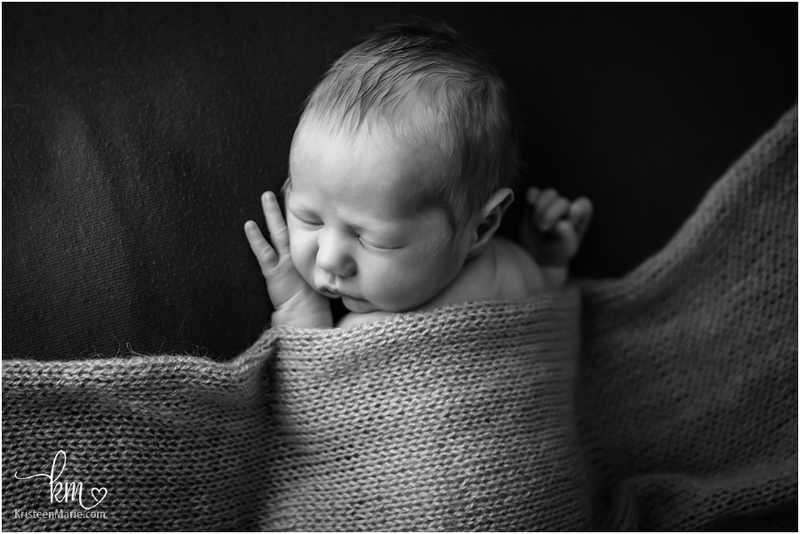 It was a joy to be one of the first to meet this little one and to be able to photograph this time in the lives of some great friends. 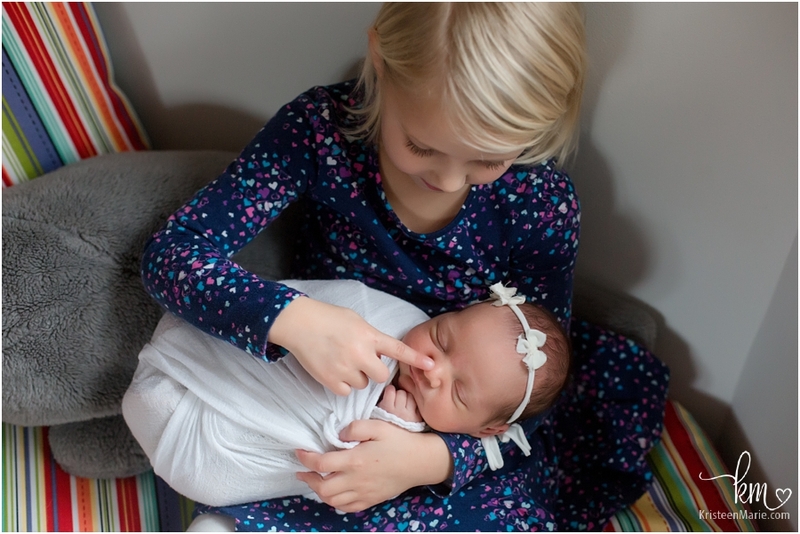 I just love how big sister Ada already adored her new baby sister. 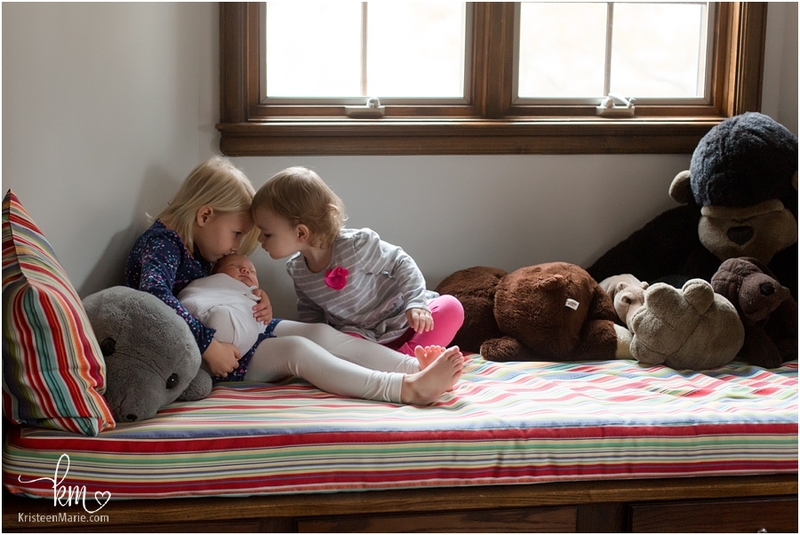 They were the sweetest together. 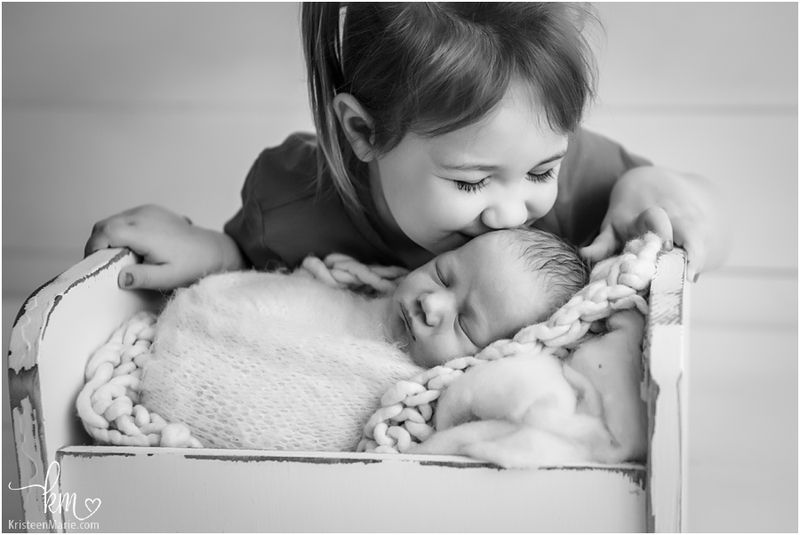 Ada and Jack (my son) are close in age and are really good friends. 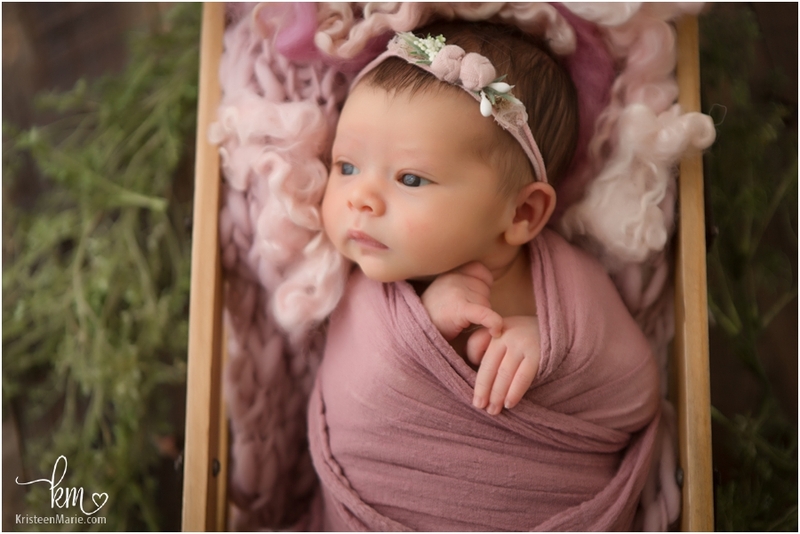 My new little baby (baby Brynn) is just a few weeks younger in age as baby Kora. 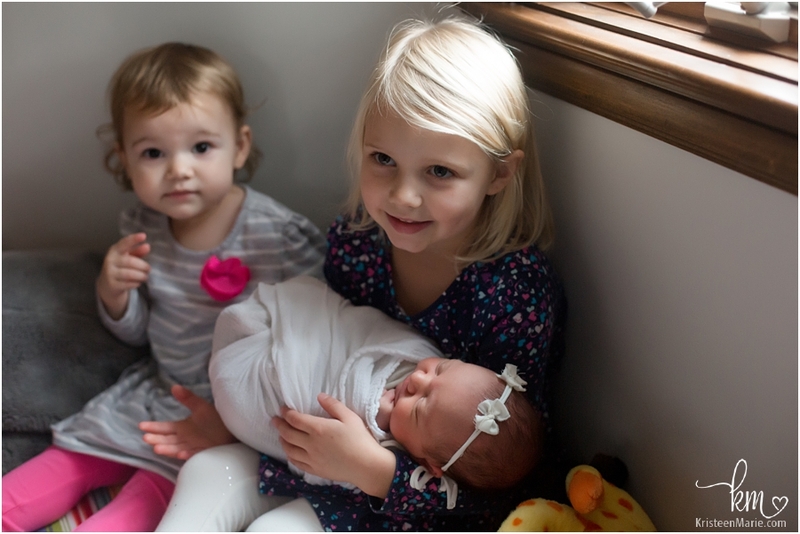 I’m so excited to see all these kiddos grow up together and become friends just like their parents! 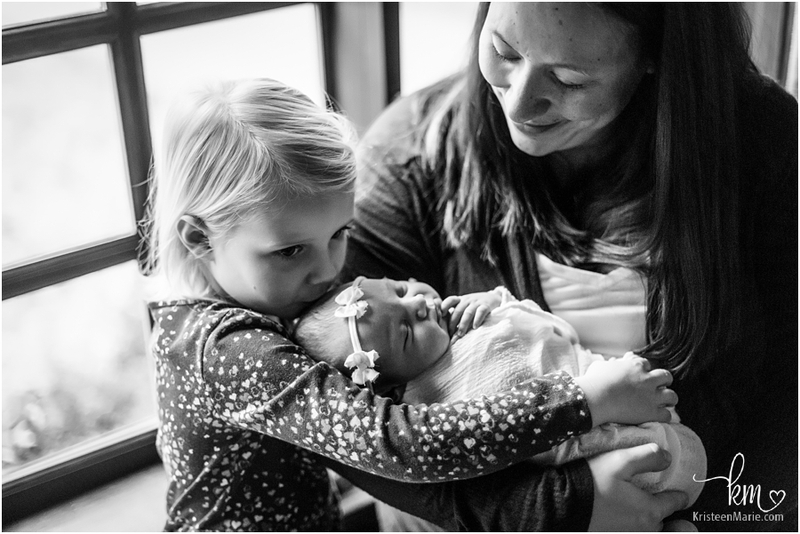 Welcome to the world, newborn Kora. 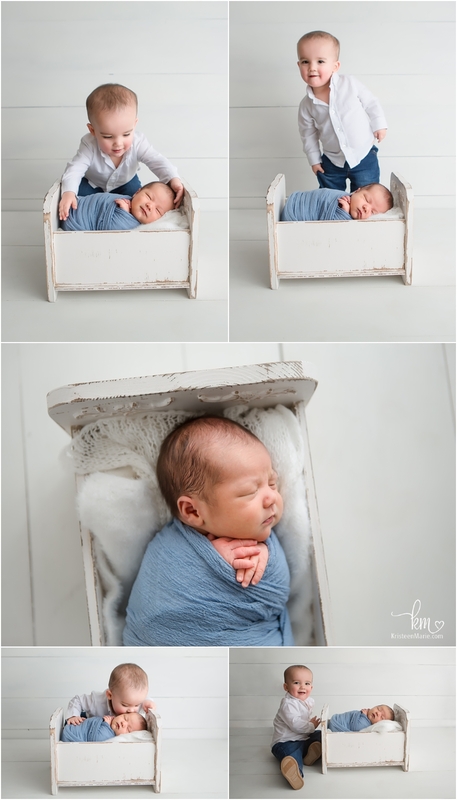 I can’t wait to see what you will bring to the world!! 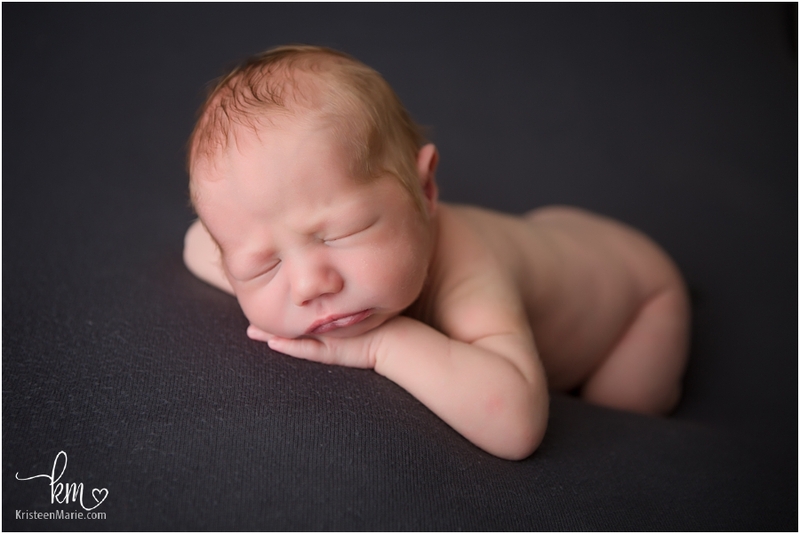 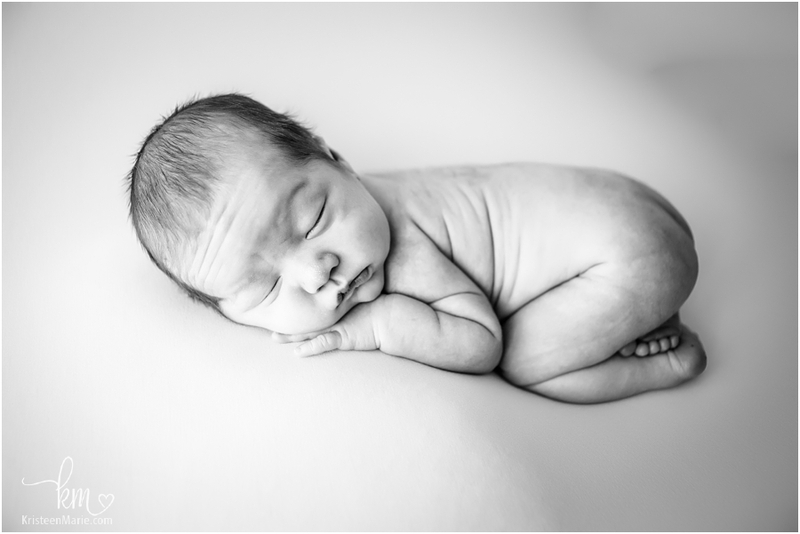 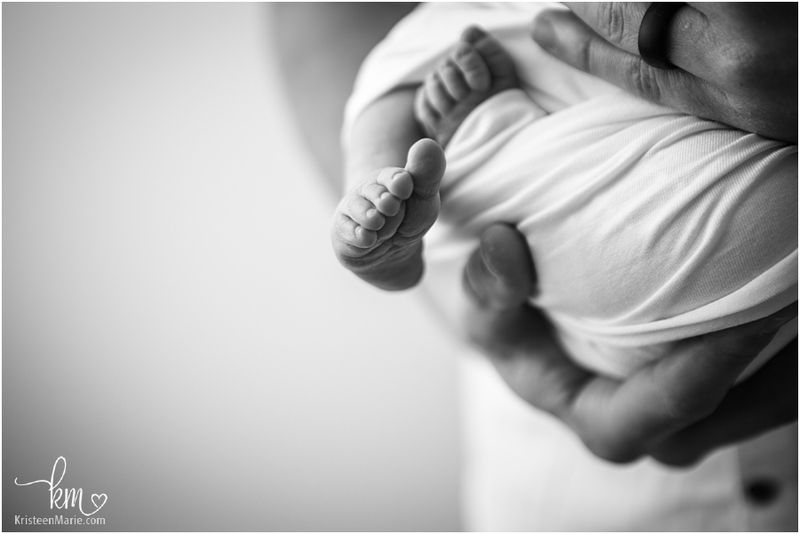 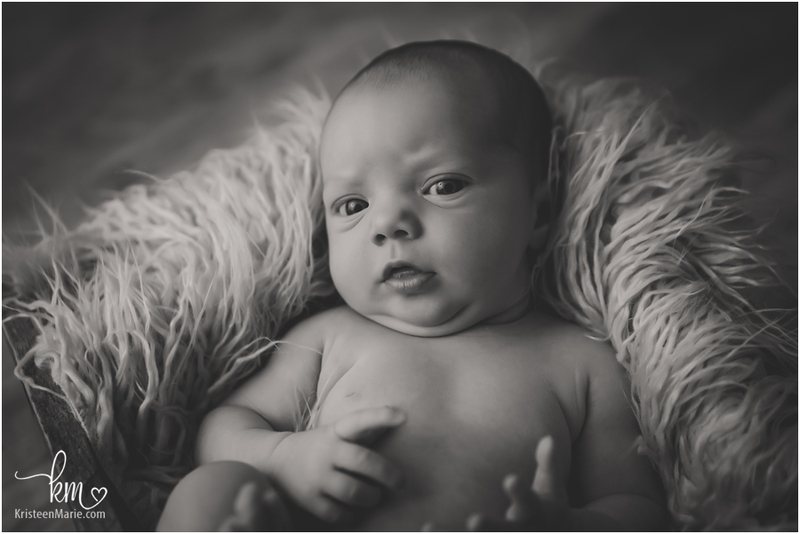 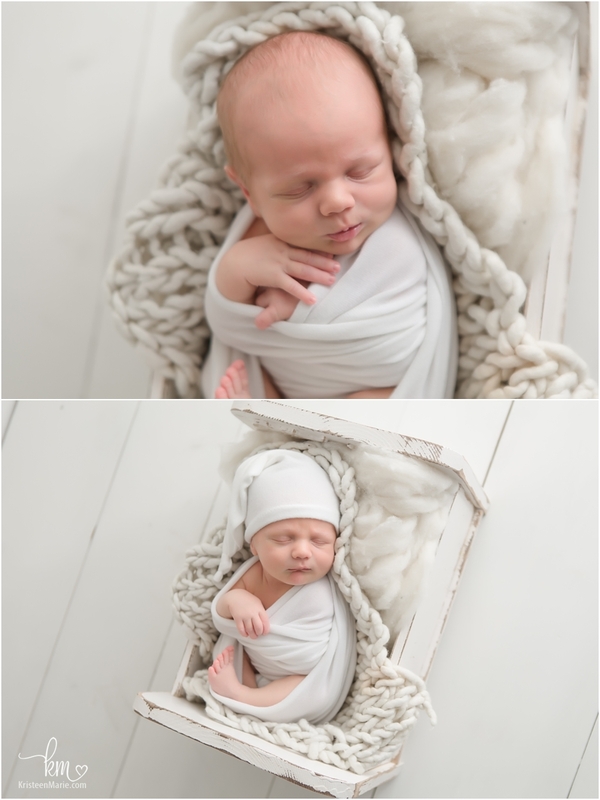 Let me know if you are looking for a newborn photographer in Carmel, Indiana. 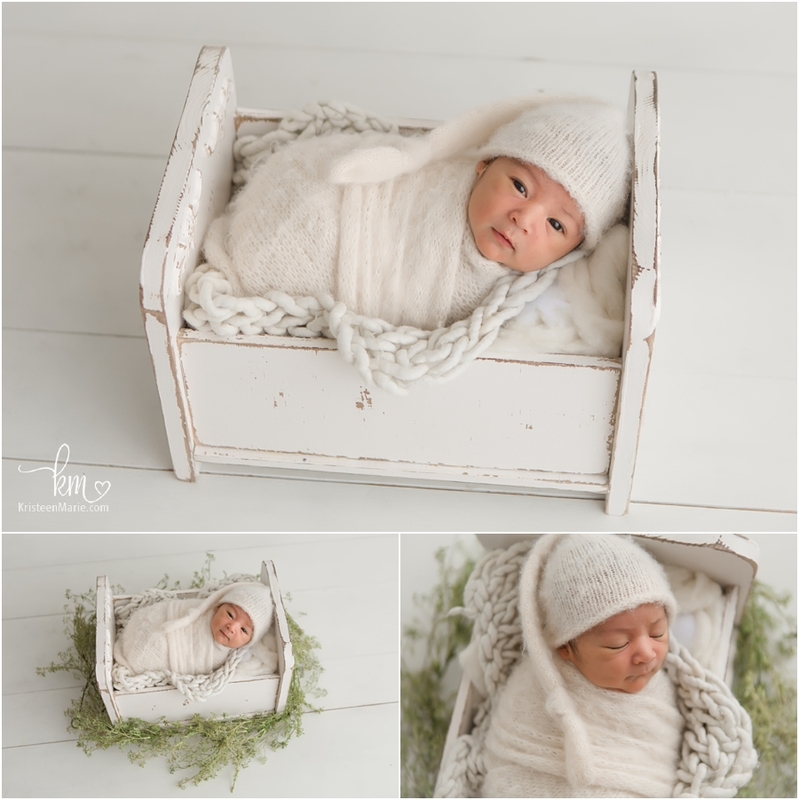 I would love to photograph your new little bundle of joy!! 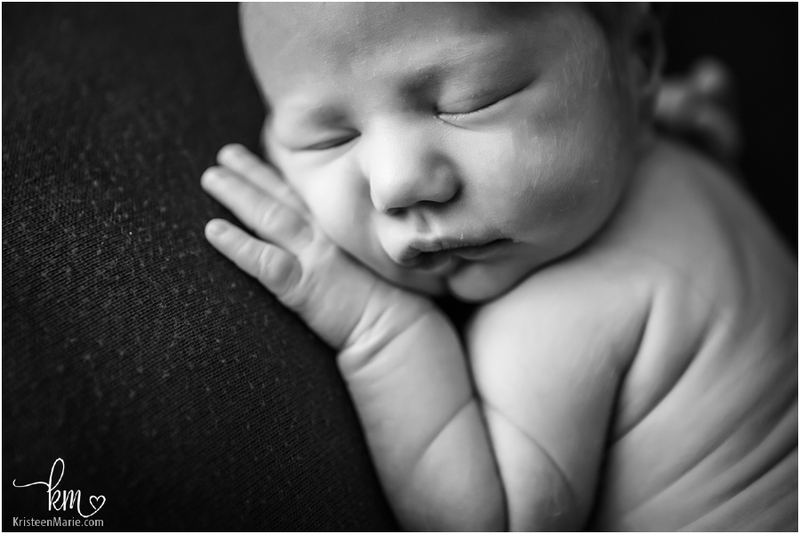 Contact me today to see if I have your due date available! 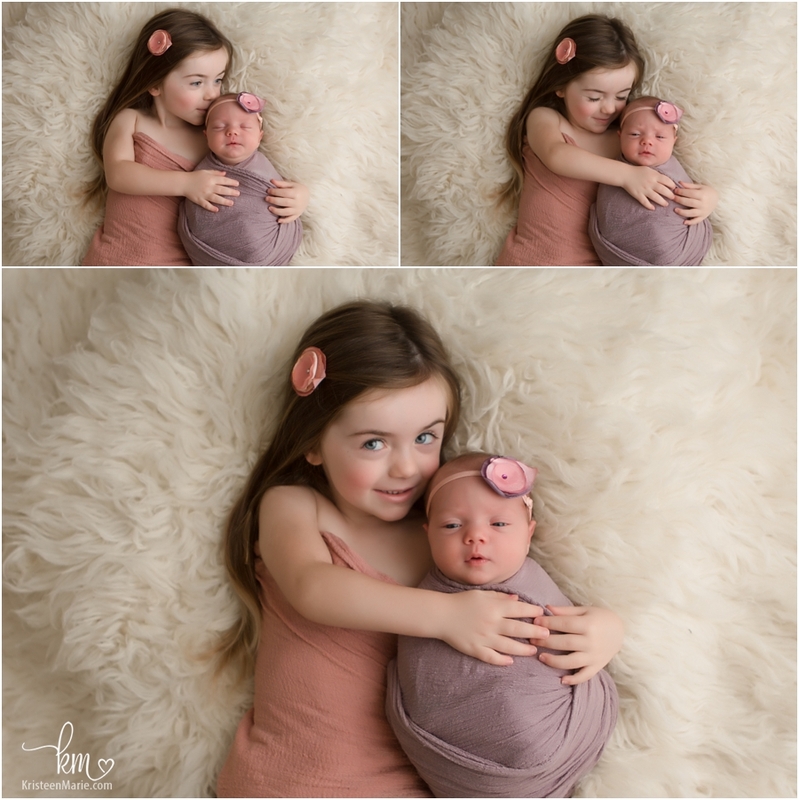 I’ve been photographing each one of these beautiful girls since birth. 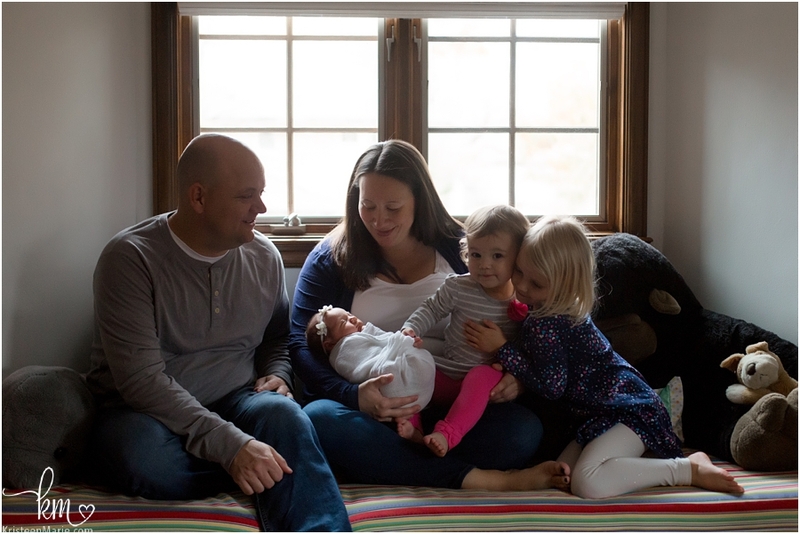 So it was only fitting that this was an extra special session. 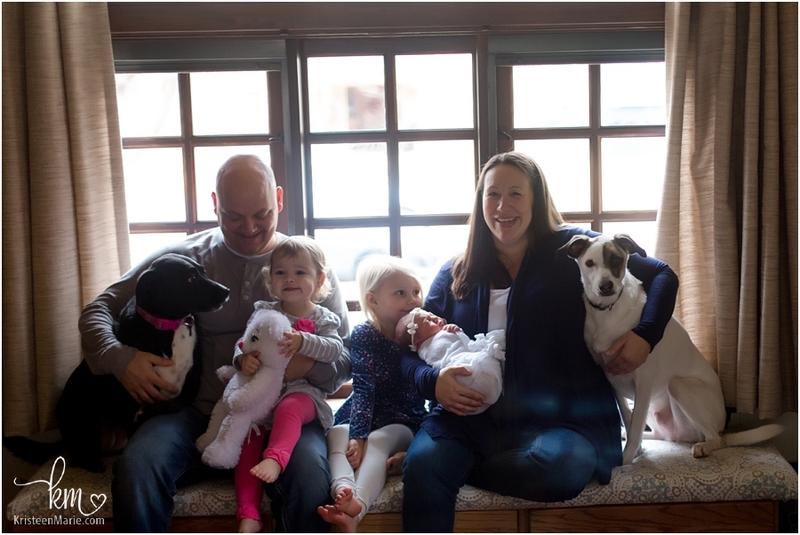 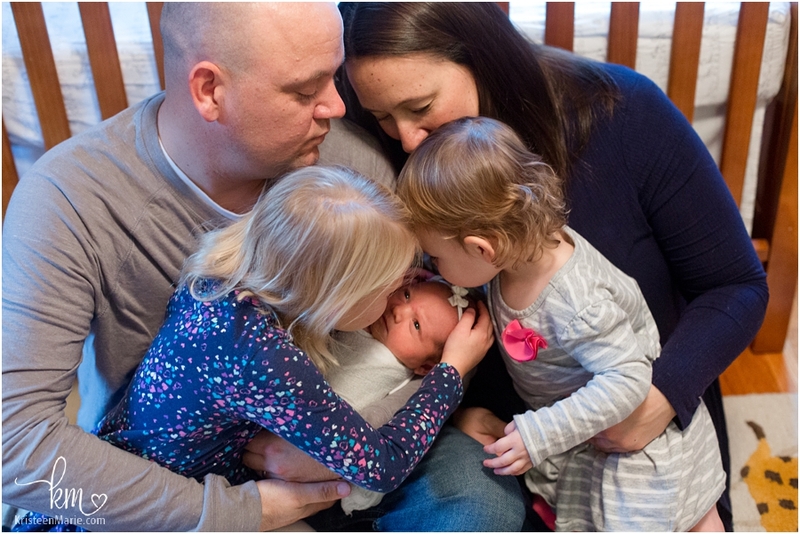 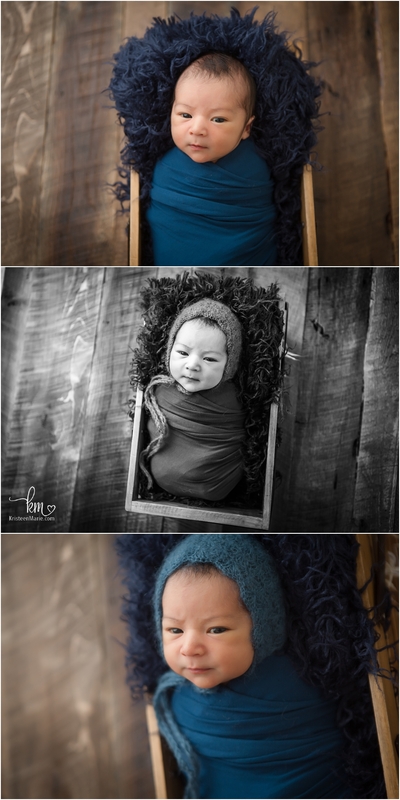 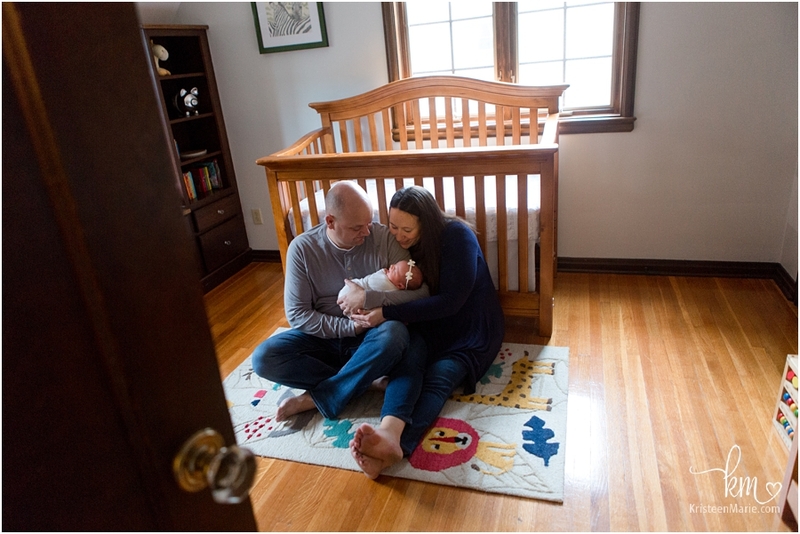 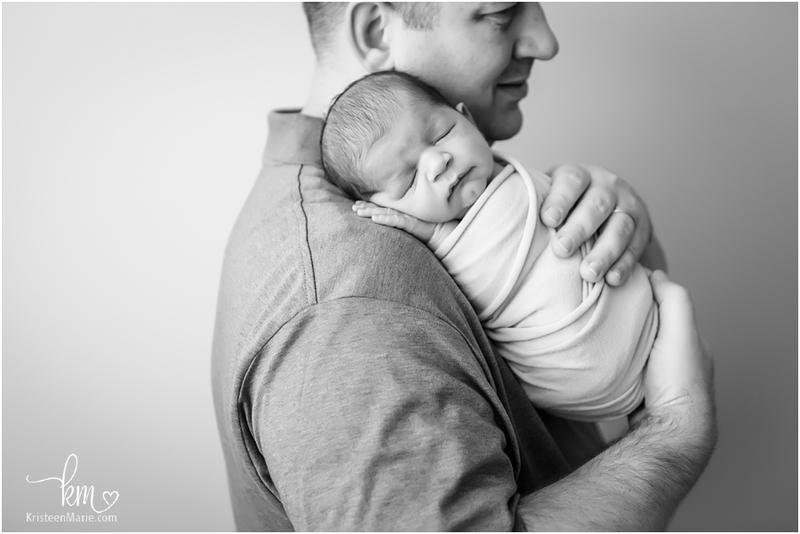 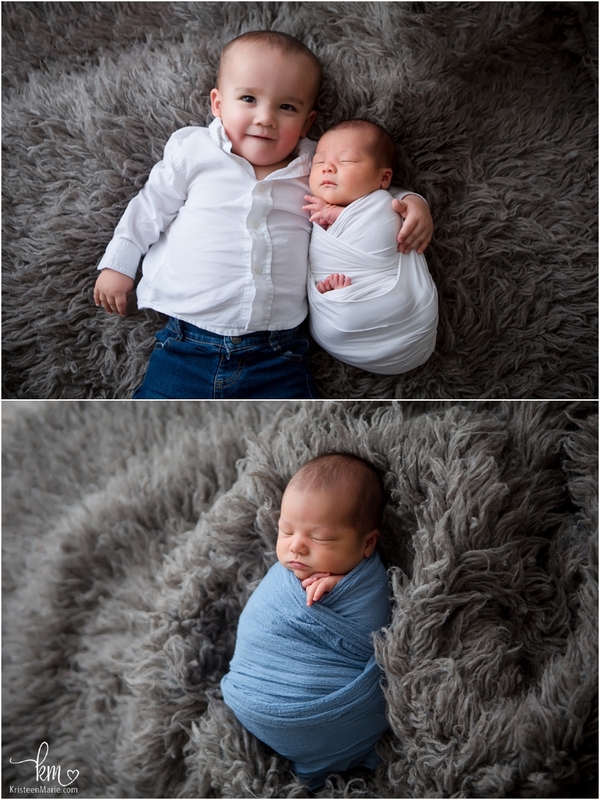 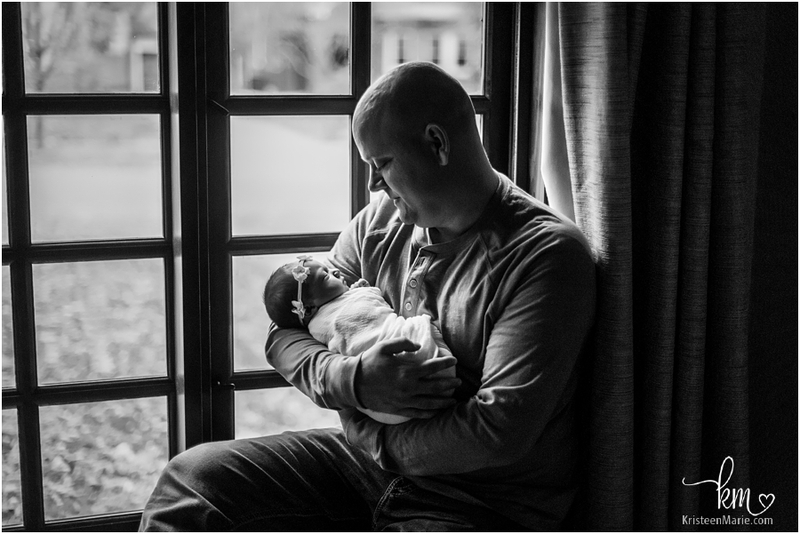 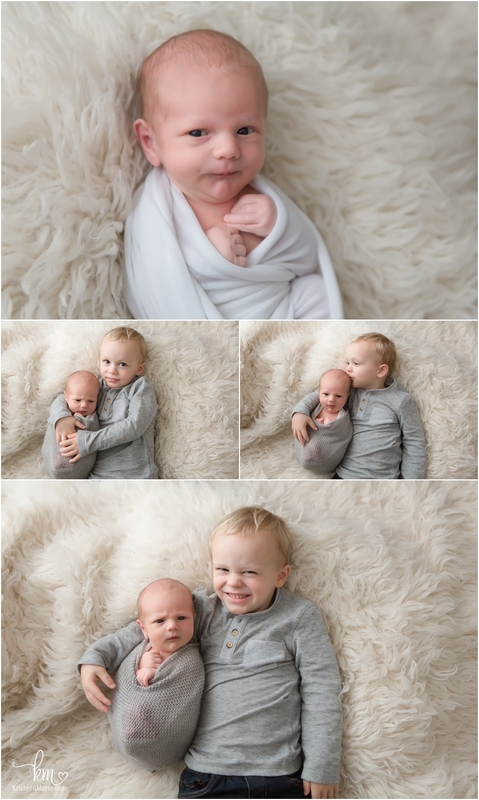 These guys did an in-home newborn photography session in their adorable home in Broad Ripple. 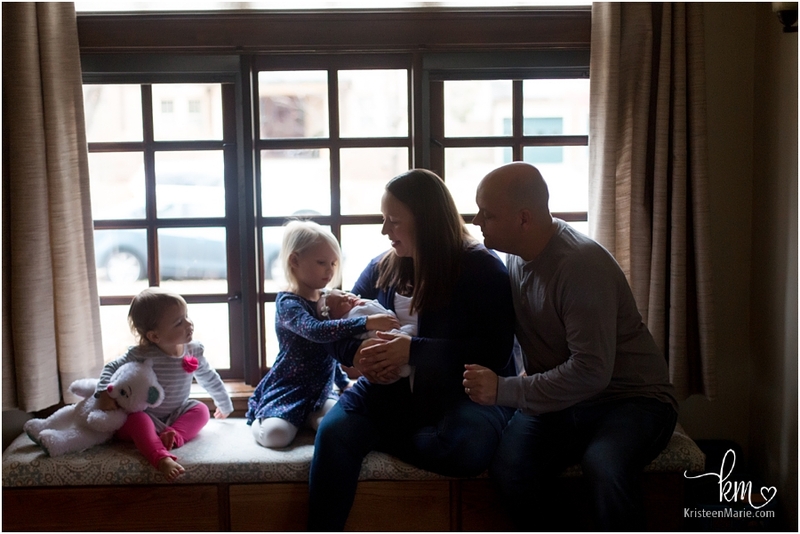 Their home was full of character and light. 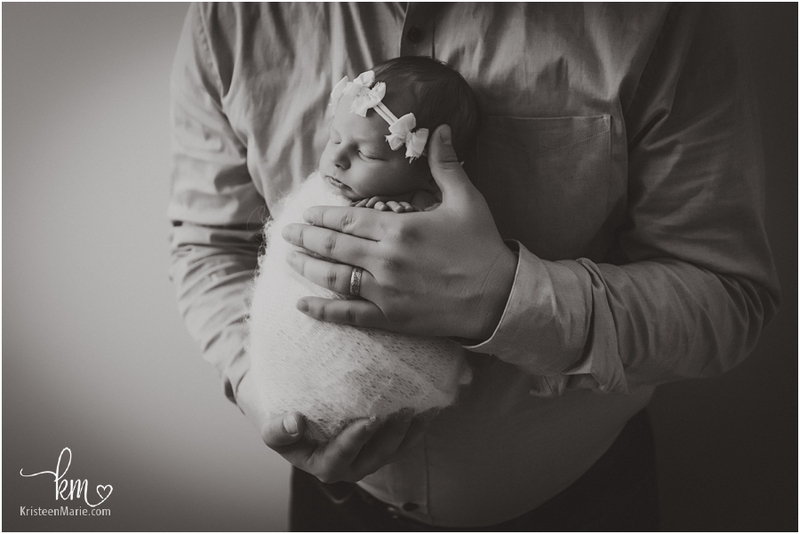 It was a dream to photograph and baby girl was also a dream. 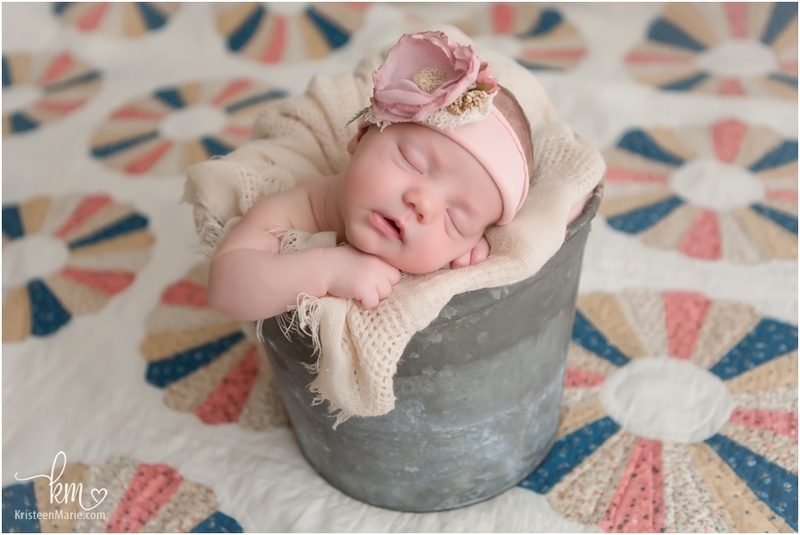 She is the most content little baby you have ever met – seriously. 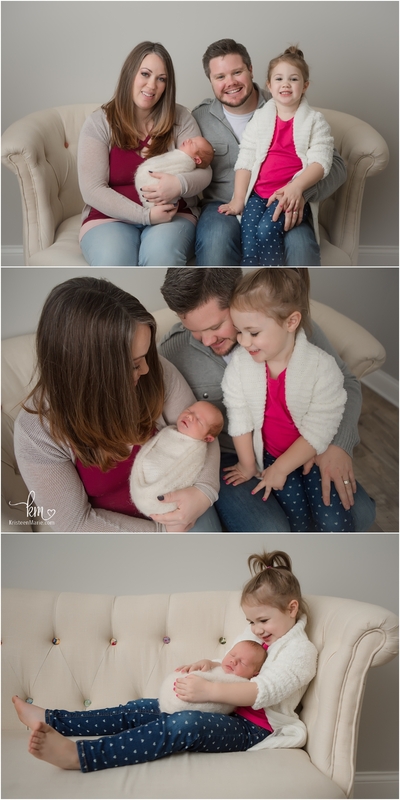 She just slept though all the craziness (and their house is bound to be craziness when you have 3 girls, and two dogs). 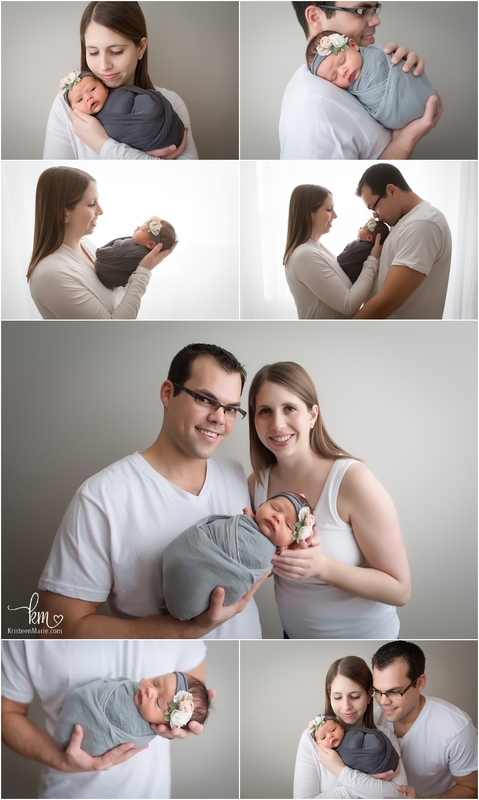 Most people book newborn sessions in the studio, but they can also be done in the client’s home. 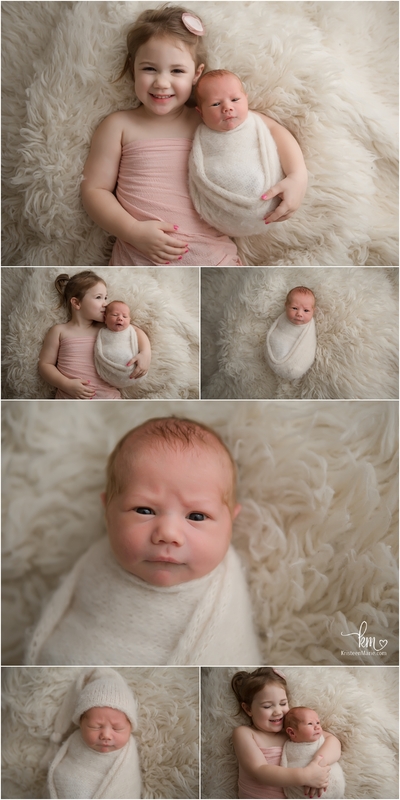 If you would like the feel of both aspects, more relaxed at home setting, or a more posed in studio session, I am happy to do both! 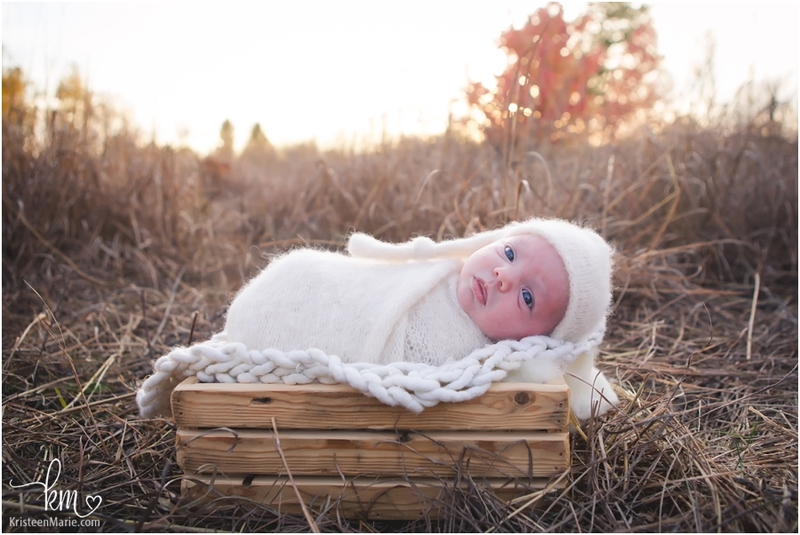 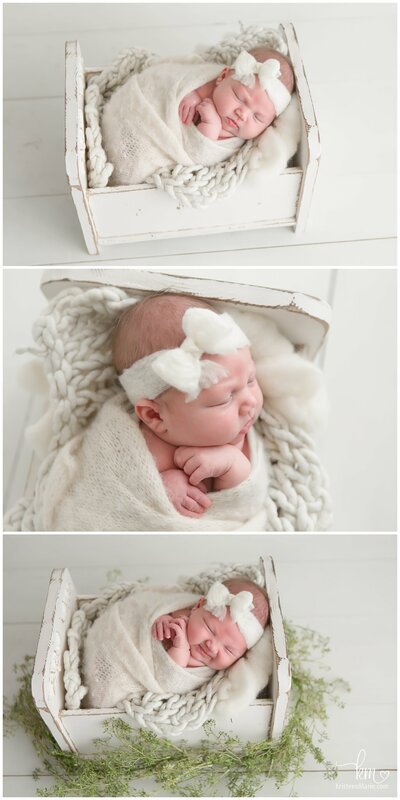 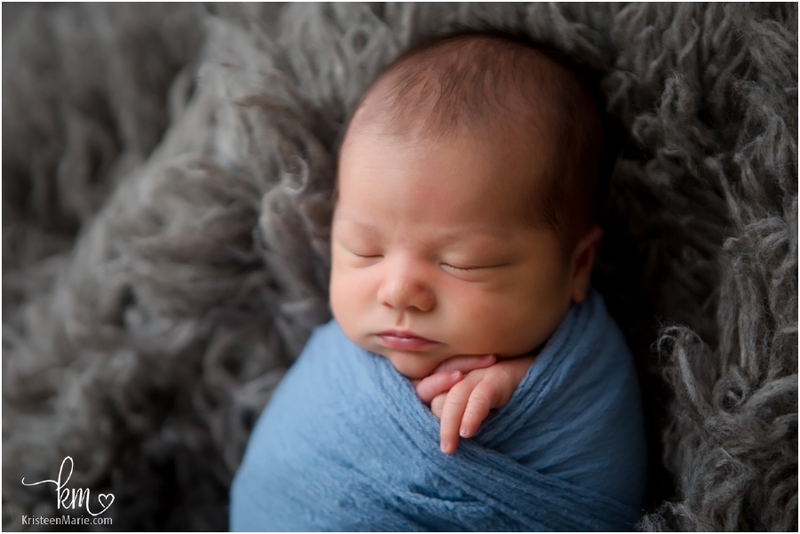 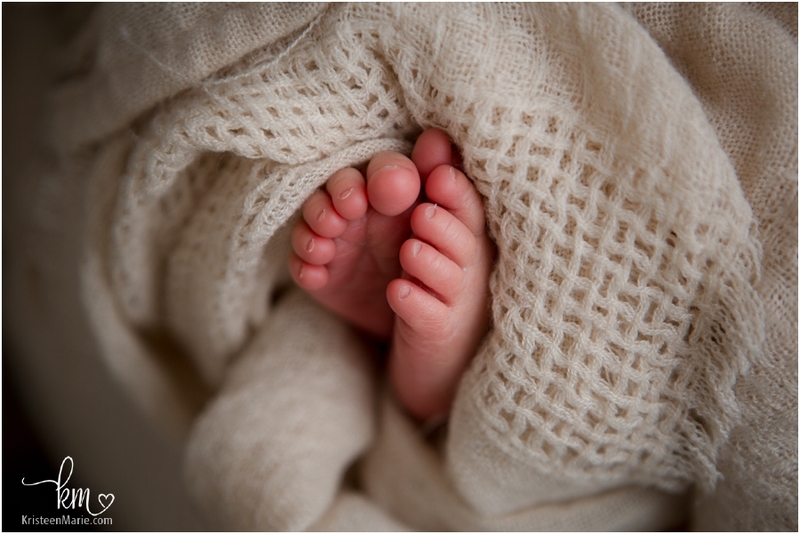 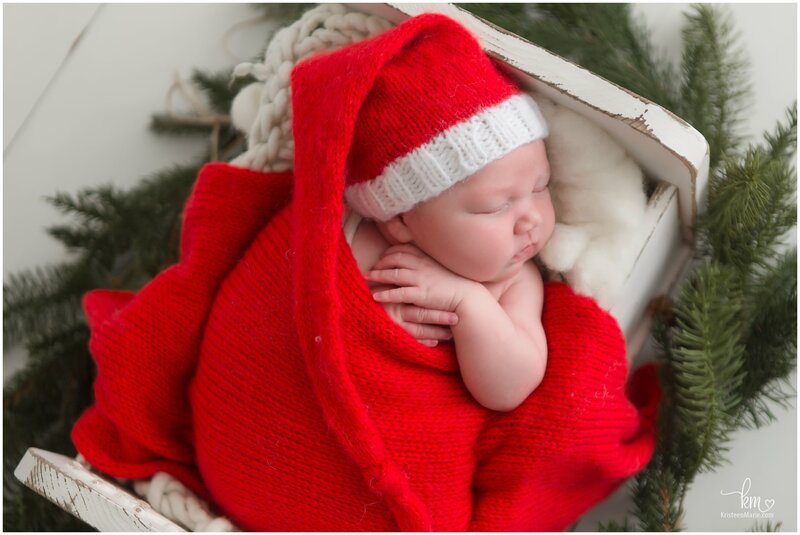 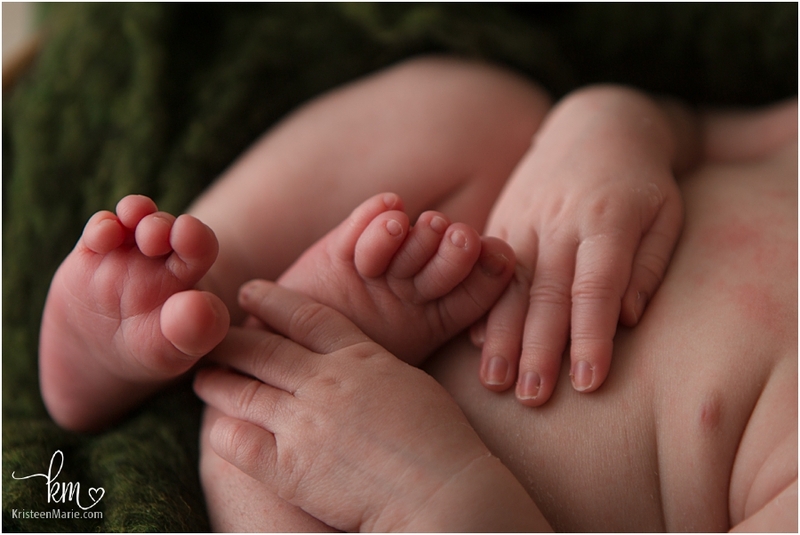 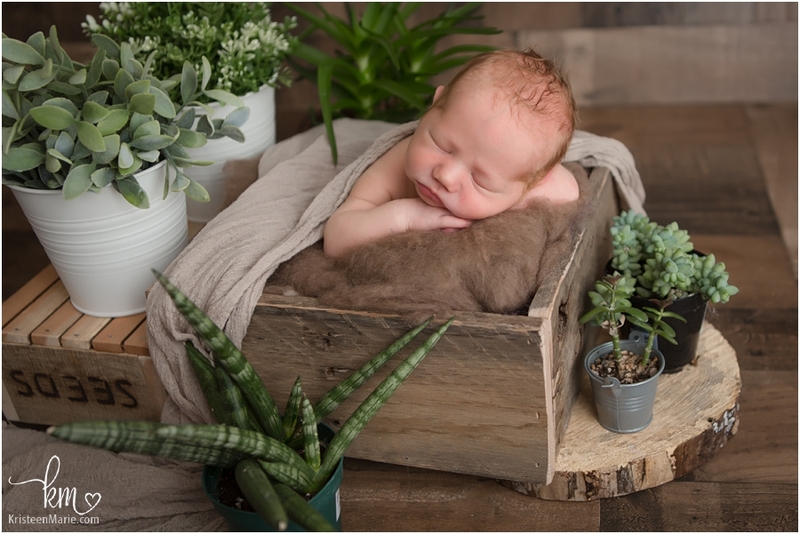 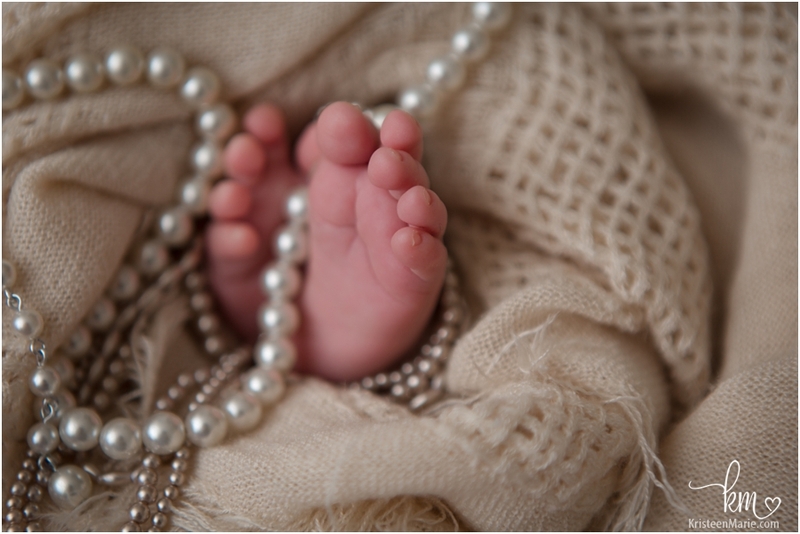 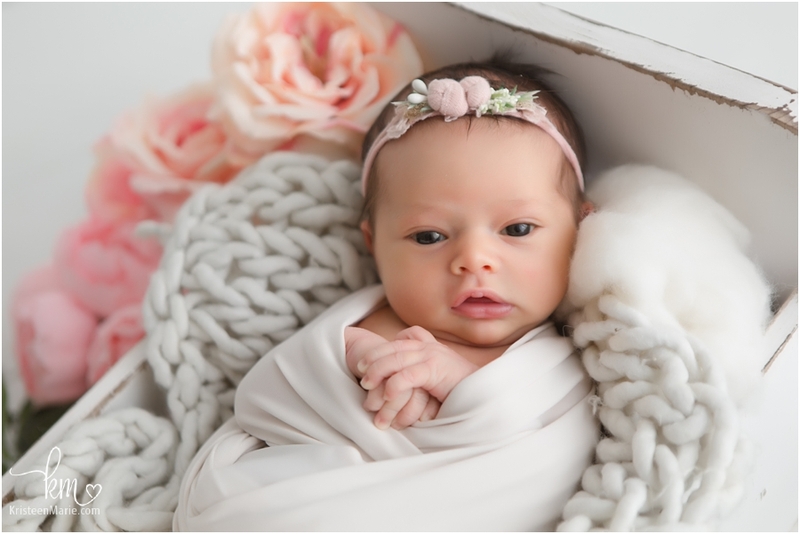 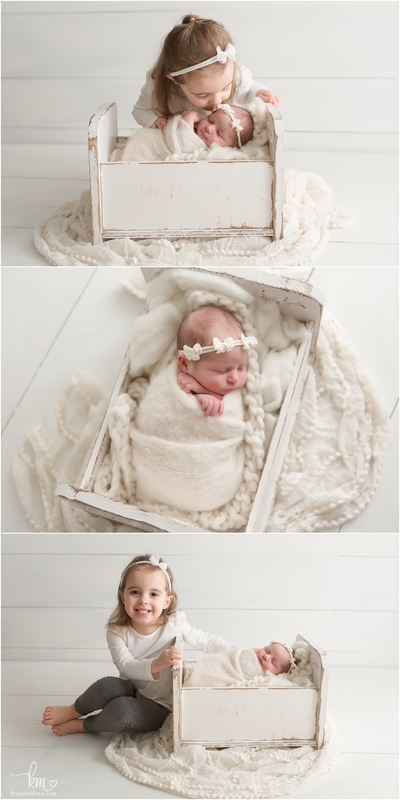 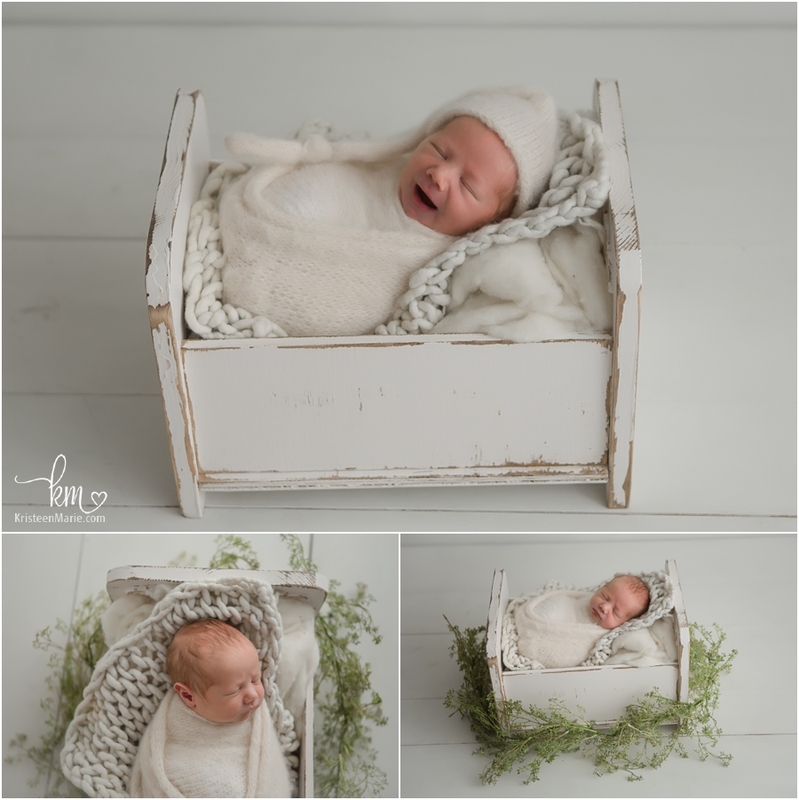 In the end, wherever you decide to do newborn photos for your baby and family, will be beautiful! 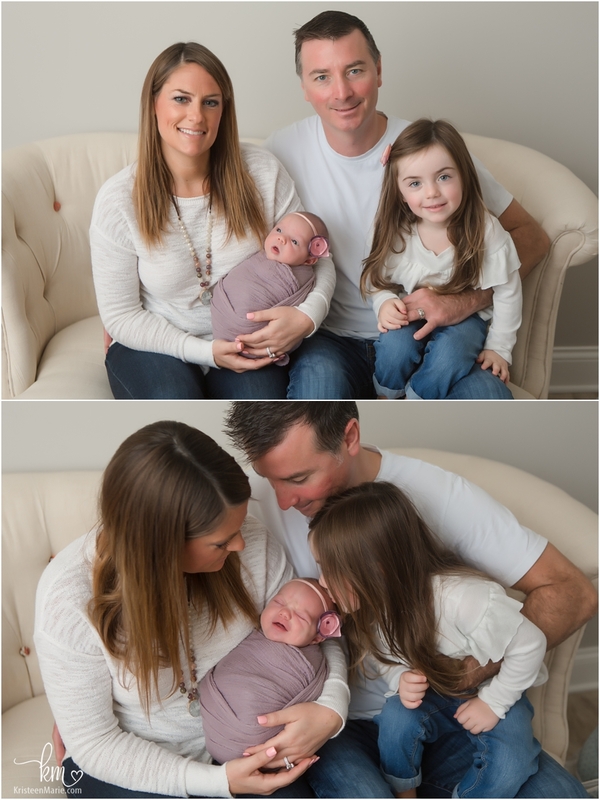 Aren’t they just the most precious family? 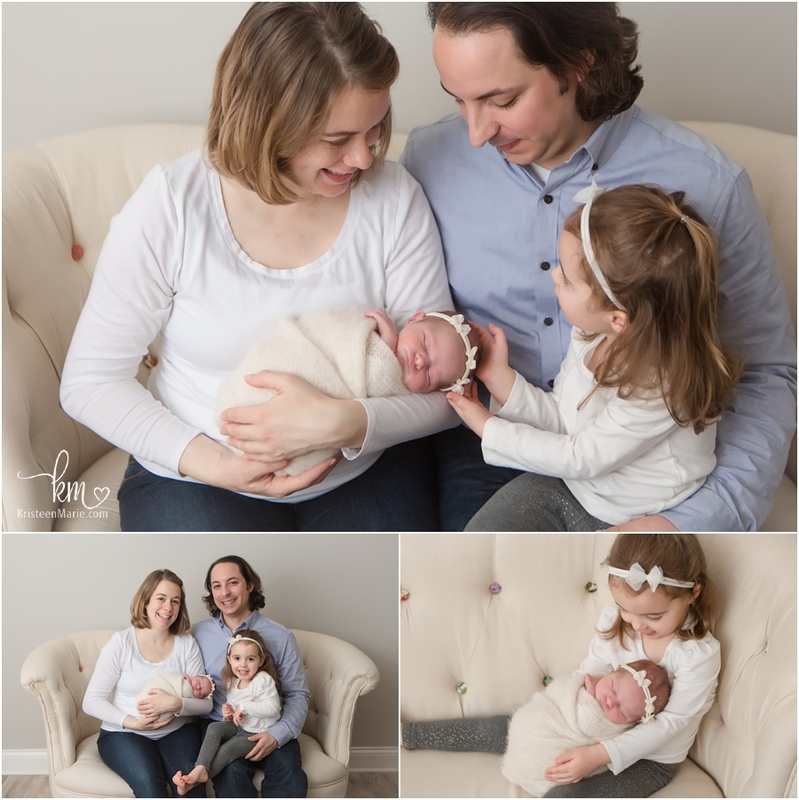 I, without a doubt, can say that they will treasure these photos and memories for a lifetime! 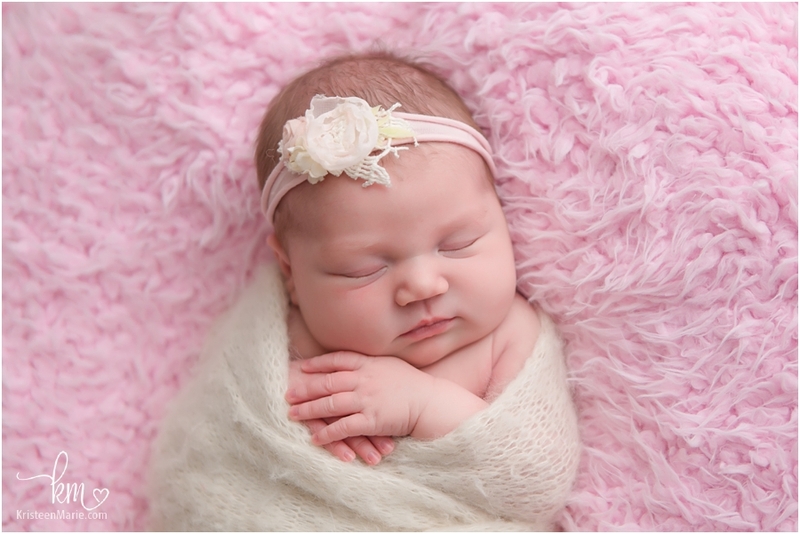 Precious princess, Mia Mae, has made her arrival and she is quite the cutie! 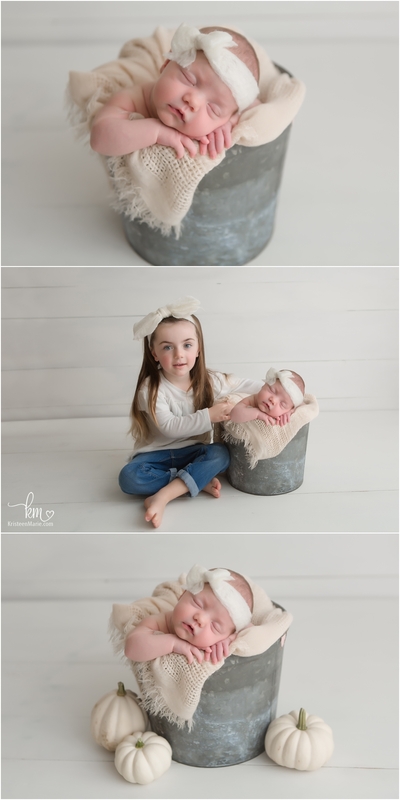 I just LOVE her facial expressions. 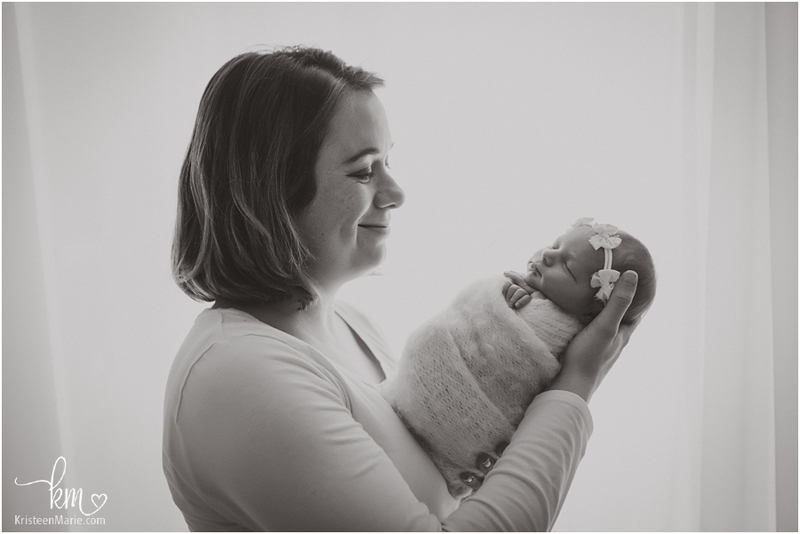 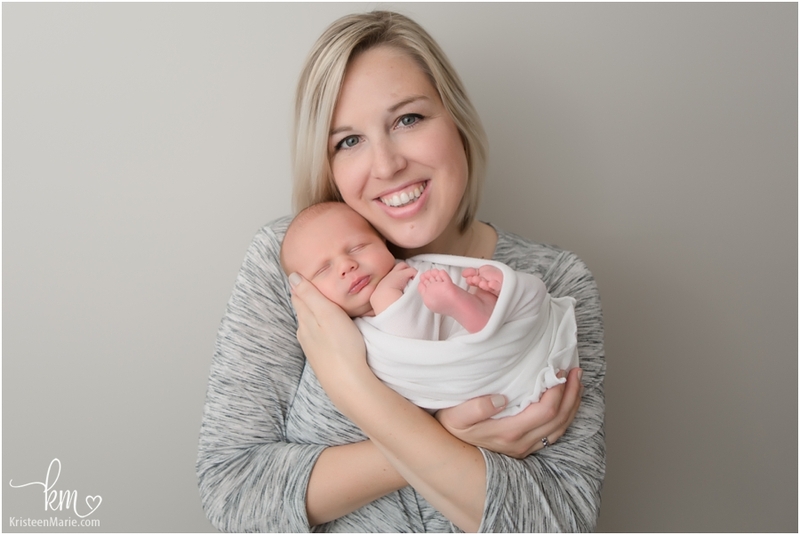 Her parents are STUNNING and I loved all of the baby rolls on this little one – she was 9 pounds, 8 ounces when she was born! 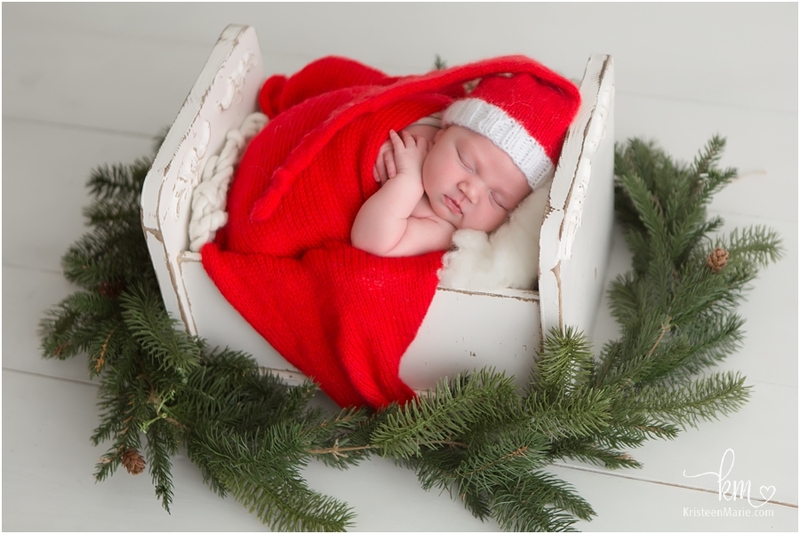 We used lots of neutral colors with a pop of Christmas as well. 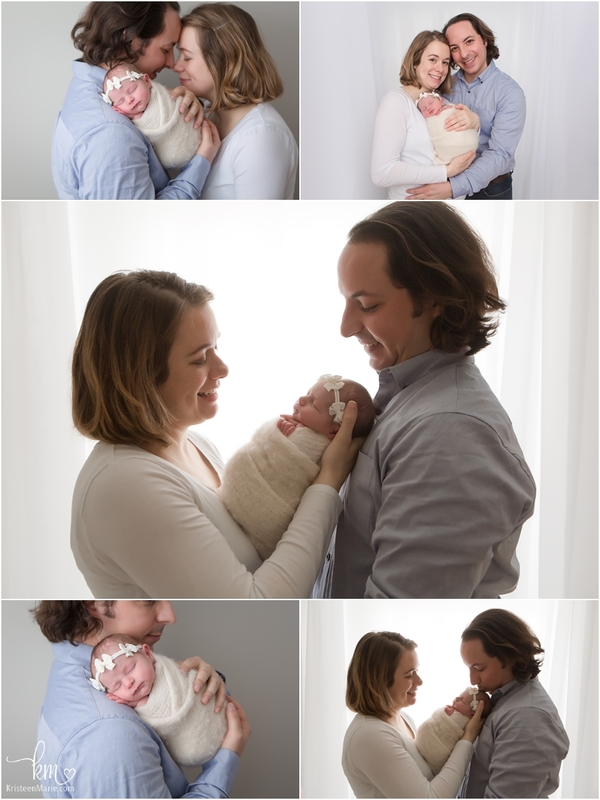 My favorite shot is the one with baby in dad’s hands. 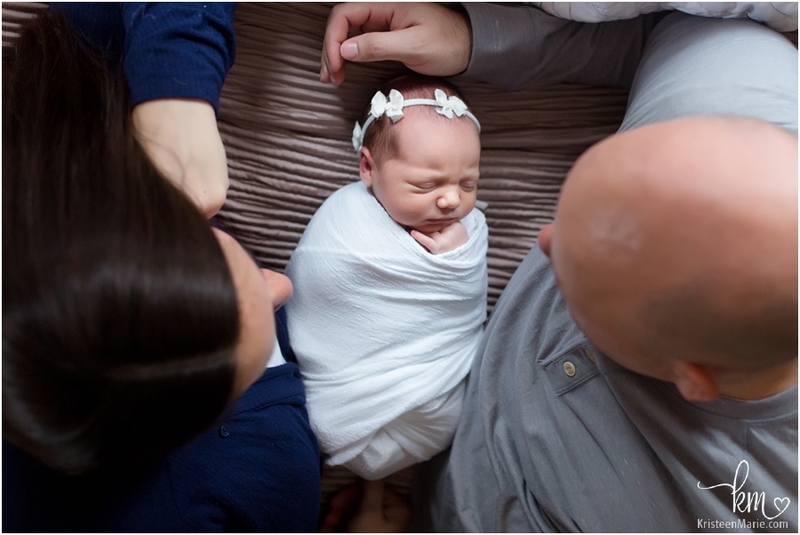 I love Mia’s facial expression in this photo and also how tiny she looks! 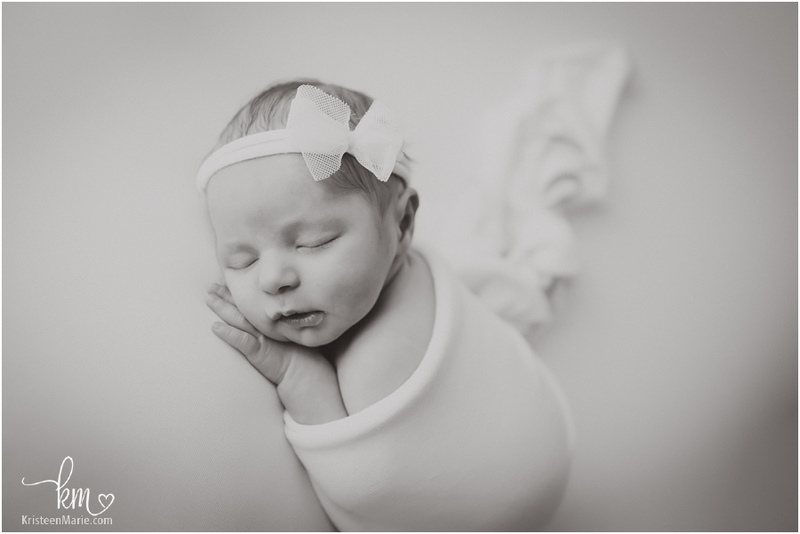 So nice to meet you, sweet little Mia Mae! 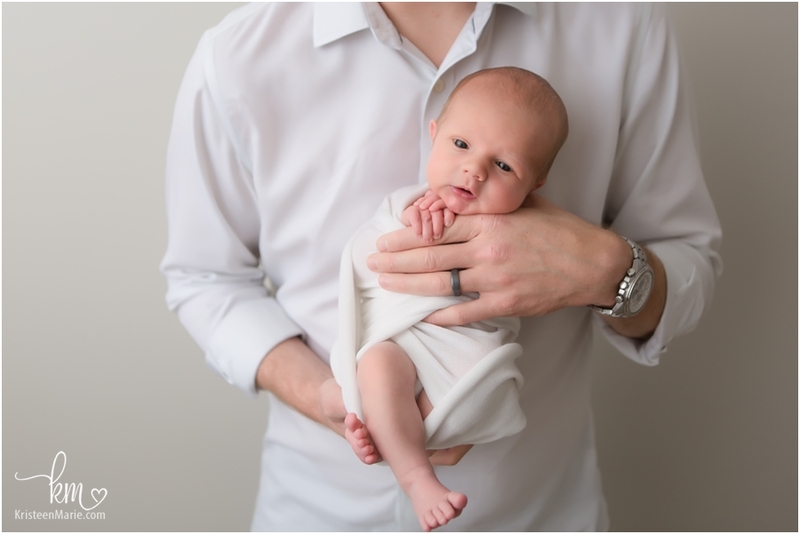 I can’t wait to see how you make your mark on this world! 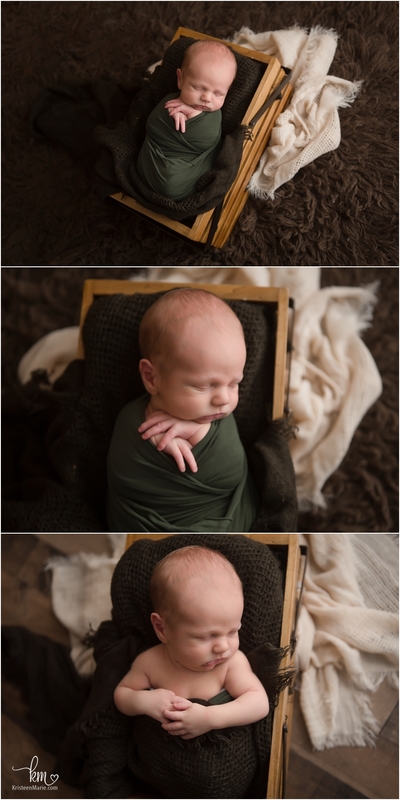 If you are looking for a newborn photographer in Indy, I would love to capture this time of your new little family. 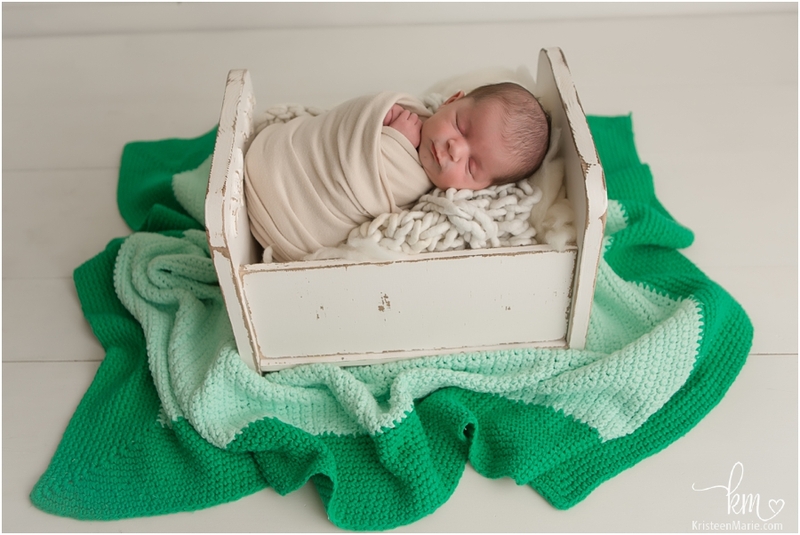 Be sure to send me a message so that I can get your due date on my calendar. 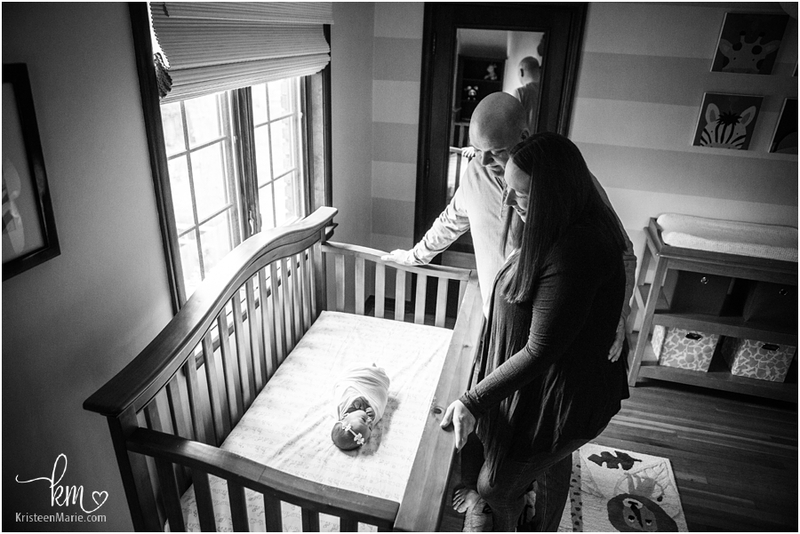 Just like Mia’s parents did, I also offer Indianapolis maternity photography as well!